How Can I Sell My Gold Bullion Online and Avoid Scam? Purchasing gold bullion bars and coins is one of the wisest investment decisions one can make due to gold investment research performed by major financial analysts. Gold bullion is the purest type of gold investment money can buy. Gold jewelry or gold coins, on the other hand, come with an added cost associated with scarcity or workmanship value that is not guaranteed to be returned upon selling. Everyone knows how to buy gold bullion – from a large net of gold bullion dealers or online stores, but how do I sell my gold bullion investment in case I need money right away? EBay online auction is perhaps the first place that comes to my mind if I need to sell my gold bullion. It’s safe and secure because I don’t have to ship my gold bullion until the money comes to my Pay Pal account and additionally postage insurance or send it via expedited delivery method. Another option that comes to my mind is finding a national gold bullion market dealer online and getting a quote from him. It’s definitely easier to sell gold bullion bars with clearly marked weight and gold composition. Gold coins, on the other hand, are an entirely different story since some of them have alloyed materials mixed into the gold content to make coins more scratch resistant. 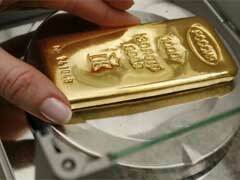 Most gold dealers will easily prefer gold bullion bars to gold coins. Before I do decide to sell my gold bullion, I’m going to check the current market price of gold to determine the ballpark of my gold bullion value. The current price of gold is updated twice daily and could be easily located on multiple websites. It’s very unlikely that any gold dealer is going to pay the full value of gold bullion, since they have to keep some of the premium costs. In case I can’t find a decent offer for my gold bullion, I will definitely sell my gold bullion on eBay for a better value. Setting a reserve price in my eBay auction will ensure that I will not actually be forced to sell my gold bullion at a lower price if I don’t want to.